Well, the spike in traffic the last few days leads me to believe that maybe the idea of an Orthodox choir school has drawn the attention of more than my usual two readers. Cool. If that’s so, then let me go into some more detail, and let me suggest a course of action. First of all, thanks for all of the positive reactions. It’s great to see that there’s a way to describe this vision so that people get it and get excited about it; I hope that this is a sign of things to come. Please continue to share these posts far and wide; it’s an idea that has to gain a certain critical mass before it can go anywhere besides this blog. Also, there have been a number of excellent suggestions that have come from my “Orthodox choir school: how I’d do it” post. Suggestions about cities, about teaching methods, about other schools to look at, and so on. I appreciate all of that, and I’m all ears for that kind of input. When (I repeat, when) the time comes, that will all be extremely useful — keep it coming! Something that has been brought up is that there have been people who have toiled in Orthodox children’s music education for years, and there are existing programs that struggle to stay afloat. Wouldn’t it be better to try to build everybody up rather than concentrating efforts in one location? Might putting all the eggs in one basket be a well-intentioned, but ultimately misplaced, idea? I had a response to this, but before I go into that, I want to make everybody aware of some valuable resources that should be looked at if this subject is going to be taken seriously. There is the Choir Schools’ Association in the UK, and they have a document titled “Reaching Out”, which is a great overview of the current state of the tradition in England. One is a doctoral thesis by one Daniel James McGrath titled “The Choir School in the American Church: a study of the choir school and other current chorister training models in Episcopal and Anglican parishes”. There’s also a doctoral thesis by Lucas Matthew Tappan, “The Madeleine Choir School (Salt Lake City, Utah): A Contemporary American Choral Foundation”. Something that, alas, I can’t link to but that you should be able to acquire if you want a copy, is the 50th anniversary season brochure for St. Paul”s Choir School. They have them out for the taking in the narthex at St. Paul’s; I got a copy when I went to their Christmas concert on Friday. If you contact the school and ask for one, I have to imagine they’ll send it to you. Nota bene — with all of these resources, one has to make sure that one takes them mutatis mutandis to a certain extent. McGrath and St. Paul’s are dealing with a context of boys’ choirs, and I’m talking about a co-ed approach, for example. The Madeleine Choir School and St. Paul’s are Catholic, and McGrath is writing from an Anglican perspective. Nonetheless, all are extremely useful in terms of how they talk about organization, curriculum, challenges, and so on — Tappan in particular explicitly has the objective of serving as a “road map” (his words) for those who might want to follow the Madeleine’s lead. Handy, that. …a choir school consists of an institution where children are given a well-rounded musical education as well as liturgical formation in the ars celebrandi, and where they put these skills at the service of the sacred liturgy on a regular basis within a specific community (often that of a cathedral or collegiate chapel). In return, these children are given an outstanding elementary and religious education. Even though these qualities constitute the basic elements of a choir school, each institution is a unique place where the choir school tradition exists within a particular time and culture… Perhaps the church musician will find in the choir school a model for training young people in an art that has the power to transform lives and to bring many out of the isolation of modern living into a living community of musicians and believers, forming young musicians “for the lifelong praise and worship of God” (p. 2). I spent 11 years in a location that was, theoretically, fairly central in the United States, but as far as Orthodox Christianity went, was about as isolated as you could be without being in Wyoming. Almost anything and everything the parish there took on could be (and often was) fairly described as “being a lot of effort for one location”, right down to building a church. It still needed to be done. Along the same lines, the Madeleine school is certainly “a lot of effort for one location” (in Salt Lake City, no less! ), but it’s still worth doing. The other thing I’ll say is that musical efforts in particular often get problematized in “American Orthodoxy” (whatever we mean by that) as “reinventing the wheel”, that reduplication of effort doesn’t accomplish anything… What needs to be recognized is that not all wheels will travel on the same roads[…], people and institutions need to play to their strengths, and dispersion of effort that hangs everything on the energies of either one person or a tiny handful of people is a disaster waiting to happen. The Madeleine Choir School is not the only Catholic school in the Salt Lake City metro area, for example, but its existence allows for the faculty and students to play to a particular set of strengths, and the result is an example that is inspiring. Supporting music education in existing Orthodox schools is a great thing to do, but it also seems to me that establishing a model school that focuses particularly on that aspect will allow for a level of excellence to develop and be made manifest publicly. I think we accomplish a lot more when we’re able to work together than when we’re isolated; my experience is that most of us Orthodox musicians are too isolated from each other as it is, and that that is a bad thing. Beyond that — as I said earlier, I attended a Christmas concert sung by the choirs of the St. Paul’s Choir School Friday evening with Megan and Theodore; one of the big takeaways was that Theodore was absolutely enrapt when the boys processed in, wearing black cassocks and singing “One in Royal David’s City”. I’ll say that the evening was was mostly the work of the the preparatory choir (the main choir had their big concert yesterday with Britten’s “A Ceremony of Carols”), but everybody did something, and they’ve got a good thing going there. So, where to, folks? How do we get there from here? I’ve told you how I’d do it — and, I have to say, it’s remarkably similar to what Tappan describes Gregory Glenn, the Madeleine Choir School’s founder, as having done (and I discovered Tappan after I wrote that post) — he put a great deal of time in visiting model institutions and putting together a feasibility study/planning document with a proposed budget. Realistically, I think this is going to be somebody’s full-time task for at least six months. My modest proposal, then, is this — a great Christmas gift to me, to your kids, and to our Church, would be a gift in support of this initial effort. Somebody shared the post saying, “I wish I had a million or two to give to such an undertaking”; well, it doesn’t need a million or two, not yet, and while you might not be in a position to give a million or two, maybe you can do something (particularly since it’s near year-end — taxes are coming!). It doesn’t really matter how much you might be able to do; if everybody who saw my posts over the last week even gave something relatively small, it would go a long way towards making this possible. Anyway, I don’t want to do a hard sell on giving right now. Rather, this is just the trial balloon — the question is, can we fund the initial planning activities, yes or no? You tell me. If we can, then maybe we can do this for real. The way to give is through The Saint John of Damascus Society; click here, click on the donate button, and you’ll be taken to PayPal. The Society is a tax-exempt (501(c)3) non-profit, so all gifts are tax-deductible to the extent allowed by law. If you want to do something but don’t want to do it via PayPal, drop me a line at richardbarrett AT johnofdamascus DOT org. I’m really not interested in asking for money right now, so we’re clear. This isn’t about money to me. At the same time, without some money, the next steps are really out of reach. This is an open forum on the topic, so please, any questions, suggestions, comments, requests for more information, anything — keep it coming! And if you want one of the The Choir DVDs, e-mail me with an address. Okay, my friends. I’ve made my pitch. You’ve all told me you’re interested and supportive; pray for us, tell me what we’re doing next, and share this far and wide if this is important to you. Thanks for sticking with me so far. Since I’ve just run a couple of posts that have touched upon the topic of choir schools, and last week I had occasion to run the pitch — such as it presently is — past a couple of friends, maybe I can take a moment to go into detail about how I could see an Orthodox choir school coming together. First, what have I already done? Well, in 2005, I went to New York for the first time. While I was there, I visited St. Thomas Episcopal Church on 5th Ave, and heard their choir of men and boys for the first time. I learned more about the St. Thomas Choir School (there’s a video here that I can’t embed), and became fascinated by the model and its heritage, and convinced that it would be fantastically worthwhile to adapt it for Orthodox use. In 2007, I published this piece as a blog post (it originally had been intended for The Word, although, alas, the submission was never acknowledged). In 2009, it was picked up by AGAIN Magazine as an article titled “Teach a child to sing: Thoughts about Orthodox choir schools”. Fr. Chris Metropulos noticed the article, and interviewed me on the OCN show Come Receive the Light. All of this really amounted to me throwing the broad strokes of a big idea out there to see if anybody would run with it; I can’t really say I wasn’t given a platform, because I was, but nobody ran with it. Which isn’t to say that nobody responded at all. I got an e-mail from a Mover and Shaker who was really intrigued, but who said, frankly, we’re so far away from being able to speak meaningfully of what a school could accomplish that there’s just no conversation to be had with anybody right now. And that was that, until 2013, when a documentary on the Madeleine Choir School in Salt Lake City titled The Choir was released on DVD. I immediately bought ten copies in bulk and sent them out to various musical leaders on the American Orthodox scene with a copy of my AGAIN article saying, in essence, This is exactly what I was talking about. This is what we should be doing. Watch this and then let’s talk. The same Mover and Shaker who had responded positively to the article was the sole person to respond to the mailing, and this person continued to respond positively. In fact, this person said — that’s great; now, here are another ten people who need to see this. So, I sent out another ten copies of the DVD with the article to the suggested names; no response. Well, now there’s been a piece on a Catholic choir school that has run on CBS Good Morning. It’s a moment, a fleeting one, but I may as well try to take advantage of it. So, I’m going to give you my pitch. If it inspires you, makes you want to help, please talk to me. This is a vision, to be clear, that I want to see succeed because I want there to be just such a school I can send my kids to. Certainly I want to facilitate the vision, but I want to be a participant, not an overlord. I’ll do whatever I have to, but I don’t need to run the show. I’m shouting it from the rooftops as much as I can until there’s a critical mass of others to do it, and then if there’s a capacity I can serve in that I’m actually suited to, I will, but I’ll be happy just to be a parent of a student. This is my vision thus far, but it need not be mine alone, and it need not be my baby that I guard jealously. An Orthodox choir school is a parochial school attached to a parish or a cathedral that has as its educational mission the training of primary school-aged children from all Orthodox jurisdictions for excellence in Orthodox Christian musical service. They will receive, as part of their standard curriculum, a high level of musical education, both in terms of general musical skills as well as skills specific to Orthodox musical service, and they will be exposed broadly to the rich heritage of Eastern Orthodox liturgical music — Byzantine chant, Slavic chant and polyphony, Greek-American choral music, modern composers who engage Orthodox spirituality in concert works, and so on. The students will contribute regularly to the liturgical life of the parish/cathedral by singing services throughout the week; they will function as outreach to the community at large by means of concerts and recordings; they will also represent the school, the parish/cathedral, and the musical traditions of Orthodox Christianity by touring. Historically, many such schools are made up of boy trebles, who must then leave when their voices change; the vision here is that an Orthodox choir school will be co-educational, and there will be choirs for students to sing in as they get older. The value of such a school hopefully is obvious. The next generation of musical leaders in America’s Orthodox churches is not going to fall out of the sky, and the major concern expressed at every Orthodox musical event I have ever attended is, “How do we get our kids involved?” This is a way to do it. The kinds of questions we’d be asking everybody are these: what’s the curriculum? How do you find students? How do you find teachers? What are the benefits and pitfalls for kids — spiritual, physical, emotional, otherwise? What are the benefits and pitfalls for the church communities that are served? How does everything get paid for? How do you keep it financially accessible for students, assuming that’s an objective? How does everything keep runing smoothly? How does accreditation work? The next question we’d have to answer would be location. My guess is, at this point, such a school would need to be someplace where there is a diverse and sizable Orthodox community already, and where there would be a parish or cathedral big enough to be able to accommodate such an undertaking, given that in all likelihood such a school would not have its own classroom facilities at first. Perhaps the choir school could represent an expansion of a school that already existed. I’m not sure. In any event, I’m guessing there are very few places in the United States where this could be done successfully the first time, and that would have to be very carefully considered. Probably, the committee would zero in on three candidate locations, and then survey Orthodox communities in those locations to see where there might be the largest concentration of prospective students. Then, there would need to be a careful consideration of staffing. Who are the teachers? Where are they going to come from? What will they need to be paid? I anticipate that here, the committee would put together a wish list of faculty, and then make informal inquiries about interest, willingness to move if necessary, what it would take for them to accept an offer, and so on. We’d then take our findings from all of these inquiries and create a planning document. This document would include the faculty/staff wish list, a projected budget for 5-10 years of operations, a narrative of what the school would do in its first five years from an academic standpoint, a musical standpoint, a recruiting standpoint, a facilities standpoint, and a development/fundraising standpoint. There would a curriculum plan as well, and sample concert programming. This planning document would then serve as the basis for a major gifts campaign, at which point we would open our doors when we could do so responsibly. Most, if not all, of these tasks could be undertaken under the aegis of the Saint John of Damascus Society; it would be well within the Society’s mission, and it would certainly be easier to perform these initial tasks via the mechanism of a nonprofit that already exists. Certainly, when it came time to move beyond planning stages, in all likelihood it would be ideal to spin the school off as its own entity, perhaps with its own foundation. So, there you go. That’s the sketch of what I think would need to happen to move forward. There’s much more I could say, but that’s the backbone. The Madeleine Choir School sends out a season booklet every summer, and last year that inspired me to try to put something together that’s similar, as kind of a proof of concept. I didn’t quite finish it — I have a dissertation to write, after all — but here are some pages from what I did finish. The names I list are nobody I’ve actually asked to do anything; they’re simply there to indicate real people who could serve this kind of school were it to be up and running. The concert programs are also strictly intended to be representative ideas. Nonetheless, see what you think. If I might make a plea from the heart — if you’ve read anything I’ve written or seen anything I’ve done that has to do with Orthodox music, you know that this is a labor of love for me. Nowhere in that brochure mockup do you see my name; I am not trying to promote myself by any stretch of the imagination. I believe strongly that there is a desperate need that this fills — a desperate need for our churches, certainly, but also a desperate need for our world — and I hope to see that need filled. No more, no less. If this is of any interest to you at all, let me know. If you want a copy of anything, ask — I’ve got a lot of resources related to choir schools, including somebody’s dissertation about the use of the choir school model in America. I’ve still got copies of the DVD of The Choir I can give out if that helps. I’m entirely and absolutely serious about wanting to see this happen; if you’re at least halfway serious about wanting to help, I’m all ears. Okay, back to work for me. – Fr. Ivan Moody’s new book, Modernism and Orthodox Spirituality in Contemporary Music. I’ll be review this book shortly for Orthodox Arts Journal, but I’ll go ahead and recommend it to you now. It’s a fascinating look at how 20th/21st century art music from around the world engages Orthodox liturgical music and vice versa, and really turns on its head the idea that “Orthodoxy doesn’t do art”. – Keeping with the theme, the CD Arctic Light: Finnish Orthodox Music, with Fr. Ivan Moody conducting Cappella Romana. I reviewed it here, and it’s a terrific stocking stuffer for the lover of choral music who might like something a little different. 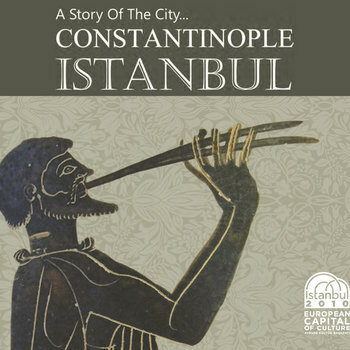 – The world-music collective Dünya has a really fascinating recording out titled A Story of the City: Constantinople, Istanbul. It’s a collection of Byzantine music, Ottoman classical music, and more; I highly recommend it. – One more CD suggestion: Christmas in Harvard Square, by the St. Paul’s Choir School, Harvard Square. I just blogged something about the school, so they’re on my mind; plus, it’s a really nice treble sound. – Sometime in, I think, 1989, I read an interview in the long-defunct Comics Scene magazine with an animator named Richard Williams. He had just won two Oscars for his work on Who Framed Roger Rabbit, and he talked about how this was allowing him to finish, at long last, his decades-in-the-making masterpiece, The Thief and the Cobbler. The story of why this turned out not, in fact, to be case, why instead Disney released its, shall we say, fascinatingly similar film a few years later (arguably getting away with murder), and why you might find a $2 DVD in grocery store bargain bins titled Arabian Knight using some of the animation produced for Cobbler is nothing less than one of the artistic tragedies of the twentieth century. Over the last few years years, there has been something of a renaissance of interest in Cobbler, with an unofficial, so-called “recobbled” cut having been produced by one Garrett Gilchrist. Over the last year, there have been a couple of screenings of Williams’ workprint, both at the Academy of Motion Picture Arts and Sciences and at the British Film Institute. Filmmaker Kevin Schreck has also produced a documentary about Cobbler and why you never saw it titled The Persistence of Vision, and it has been very well-received in the festival circuit for the last year or so. While it’s a difficult film to license commercially for a number of reasons, Kevin has been able to produce a limited edition 2-disc DVD release of the documentary, and it also includes Williams’ workprint among the special features. It is available for what it is officially being called a donation of $25, and I recommend it highly — it really is fascinating. – Averil Cameron’s new book, Byzantine Matters, is a concise, readable overview of the state of the field of Byzantine studies, as she sees it. There’s a lot here that’s worth thinking about, and while much of it is prompted by her ongoing feud with Byzantinists who work a bit later than she does, she is up front about that disagreement and what she thinks the problem is. – Twin Peaks: The Entire Mystery. I’ve spoken my piece about Twin Peaks here already, so hopefully this speaks for itself. Just get it. 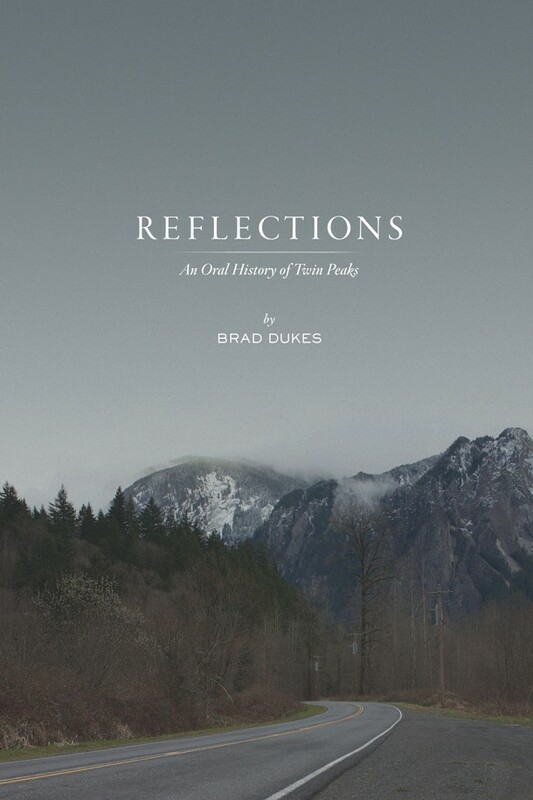 – If Twin Peaks is your thing, there’s also Reflections: An Oral History of Twin Peaks, a behind-the-scenes treatment of the series by Brad Dukes. I haven’t read this yet, but it looks really interesting. – Finally, if none of these speak to you, I offer the possibility that you could make a donation to The Saint John of Damascus Society. We’ve got a lot of different things that we’re working on, including the Psalm 103 project but also much more, and making a gift in the name of somebody you care about would be a lovely gesture for all concerned. All gifts are tax-deductible to the extent allowed by law. The above link will take you to our website’s “Support” page; click the “Donate” button and PayPal will take care of the rest. If you’re interested in giving a gift but want to have a conversation with a person about it, get in touch with me (either via the combox here or by e-mailing richardbarrett AT johnofdamascus . org), and I’ll be happy to talk to you. And, should you for some unknown reason be looking to give me a Christmas gift, well — you can certainly give something to the Saint John of Damascus Society, and it will definitely make me happy. I also wouldn’t sneeze at Twin Peaks: The Entire Mystery, and there’s also a book called 75 Years of DC Comics that would be right up my alley. And, hey, this blog has its own “Make a Donation” button. If those options don’t speak to you, well, there’s always this. Or even this. Okay — Christ is born! Glorify Him! May you all stay well the rest of the fast (and beyond, of course)! As a brief follow-up to yesterday’s post — I made reference there to my advocacy for Orthodox use of the choir school model. As part of that, I give you the video from this morning’s appearance of St. Paul’s Choir School at Harvard Square on CBS This Morning. It’s a pretty good summary of what I maintain are the opportunities and advantages of such an approach — a high level of musical education, liturgical participation, spiritual formation, and overall engagement with the tradition starting from a young age, a focus on excellence and discipline, an excellent means of outreach via performance and recording, and traveling to perform in amazing places. I’d advocate a co-educational school along the lines of the Choir School of the Madeleine (see my comments about that institution here), but regardless, this clip is another excellent “proof of concept”. I’m working on setting up a meeting with John Robinson, St. Paul’s music director, sometime in January. I want to chat with him and also observe how the school works. What would you like to know about such a place? How might you envision such an undertaking moving forward in an Orthodox setting? Talk to me — I’m very serious about wanting to see something like this come together. I’d love to be able to send Theodore to a school just like this — how can that happen? Theodore has even started developing a notation system for “Alleluia”. He sits in my lap, I’ll write a phrase of something in Byzantine neumes, and then he’ll write something using his own signs. He’ll even explain to you — sort of — how it works. All of this is great, it really is. It’s so awesome to watch him work these things out on his own, to try new things, and to respond to what he sees and hears. His two-and-a-half year old brain is a little sponge, soaking it all up. Here’s the thing: he’s two and a half. What he’s doing is wonderful and age-appropriate for a two-and-a-half year old. 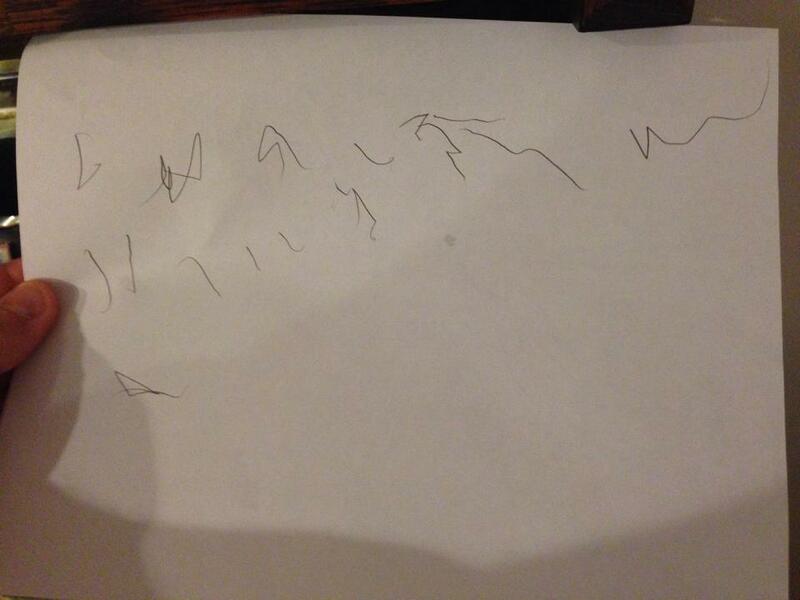 It’s really more than I would figure I could expect from a two-and-a-half year old. Still, there will come a time when it is no longer age-appropriate. There will come a time when he needs to start developing an understanding that goes beyond simply doing something and grows into an understanding of what it means to do it right. Then, eventually, an understanding of what it means to do it well. If he isn’t willing to do that by a certain point — which will be his prerogative entirely; I’m not going to force anything on him — then certainly the age-appropriate thing for him won’t be to continue to do what amounts to yelling in church. It will be better for him to do something else if he’s decides he doesn’t want to get better beyond “Alleluia”. That’s not a problem; that’s exactly what one would expect when it comes to seeing a toddler grow up and develop — that they will continue doing some things and do them in more sophisticated ways, and they will discard doing other things and take up new things. Wash, rinse, repeat. In other words, it is normal that there be a pattern of development when one learns a new skill, and it is to be expected that one will follow that pattern if they continue to do something that requires that skill, or they will do something else that doesn’t require that skill. This is really easy when you’re dealing with kids; the trouble is when adults decide that they aren’t interested in getting better at something but they want to continue to do it anyway. There’s a truism amongst musicians — the way you get better is to play with people who are better than you. This is something that, if you’re an Orthodox musician, is kind of a problem. Let’s be honest — a lot of us are in situations where we’re isolated, where we’re either one of the only competent musicians, or even the only competent musician, or if we’re not, then we’re one of the only ones who is really involved. And, for many of us, we spend so much time, not even trying to bring people up to our level, but just trying to explain to people that there is a level. Forget phrasing, musicianship, dynamics, whatever — we’re working on getting people to sing a majority of right notes. We put the majority of our efforts into trying to communicate the fundamentals of the fundamentals, and doing so in contexts where some people are receptive, some are hostile, and some are benign but unable to be productive for one reason or another. To put it another way, we spend a lot of our time working with adults who are, relatively speaking, at the level of my son Theodore, and who are faced with the choice of learning to do it better or needing to stop. Here I note that it seems inescapable that we speak about singing in church as a clerical calling, something set apart; consider the petition during the Divine Liturgy — “Again we pray for those who bear fruit and do good in this holy and all-venerable Temple; for those who serve and those who sing (ψαλλόντων); and for all the people here present, who await thy great and rich mercy”. Such a point of view has been espoused by no less than the Ecumenical Patriarch. So, if we’re going to talk like that, then we also need to speak frankly about what it means not to be called to sing. It is nonetheless a choice a lot of adults don’t want to make; beyond that, we work in such situations under circumstances where clergy may or may not be supportive, we may or may not be being paid, and we may or may not have adequate resources otherwise to do what we need to do. To frame this in terms of personal experience — I am hardly one of the “greats”. I stopped pursuing music performance as a full-time profession because I knew I wasn’t, and knew I couldn’t be. Still, I am a well-trained musician. I can sing pretty much what you put in front of me, be it in staff notation or Byzantine notation, I can do it in English, Latin, French, Italian, German, and Greek, and if it’s Church Slavonic then I can do it well enough to blend with somebody who is proficient. Some of my ability comes from what I had to do for my music degree; some of it comes from experiences in Episcopal church choirs, where you’re singing new repertoire every week, some of it comes from experiences with other performing ensembles like opera choruses and early music chamber ensembles, some of it comes from doing a lot of recording sessions where you’re sightreading music you’re seeing for the first time and have to record within the next half hour so you can get through the other fifteen things you have on the docket that day. I am not amazing; there is nothing remarkable about being able to do any of that. It is simply what is expected if you are to be considered a reliable, garden-variety professional. And what did I do with my church choir? Generally, I had to teach notes by rote and hope it stuck; I had to explain things repeatedly like the necessity of turning the page when you reach the end of it; I had to beg people to come to rehearsal and come to church on time; overall, I had to put 15-20 hours a week into that kind of undertaking, and it compensated me far less than I would have received were I merely a paid member of a choir at a Protestant church. Towards the end of my tenure, I had experiences like telling my choir that they needed to watch me for entrances during the anaphora, and one person responding by stomping out, proclaiming that “You’re totally focused on all the wrong things and have completely lost the spirit”; this person never spoke to me again, and instead lodged some kind of complaint against me with the priest (the priest declined to discuss any specifics of the matter with me, and I left the parish shortly thereafter). I have had to go out of my way over the years to make my own opportunities to play with people who are better than me so that I myself can get better. Sometimes that meant paying people to come to me. Sometimes that meant people paying me to come to them. I took various pro singing gigs here and there. I found a way to go to Greece to learn Byzantine chant, since the alternatives were all a five hour drive away. I also went to gatherings of other people who were in my shoes. hoping to learn things that I could bring back to my parish. I went to PSALM in 2006. I went to the Antiochian Village Sacred Music Institute a couple of times. In all of this, I hoped to learn something that could inspire people to want to see things the way I did, and to want to get better, to make music for the worship of God that was always seeking to be as good as it could be rather than “good enough”. The response was always the same — “What does any of that have to do with us? I mean, fine that you had fun, and great that all of you musicians were able to sanctify each other’s preferences, but what happens there stays there; we’re not interested.” People, in the main, had no interest in being inspired; no interest in being reached; no interest in being worked with; no interest in learning. That was for “musicians” outside of church; it had nothing to do with what they wanted in church. If this is how you’re spending most of your life and your energy, as a musician, your A-game is going to suffer. And, truly, for many of us, when we do get together, the once or twice a year that the opportunities come about, we’re so thrilled that there’s another honest-to-God person in the room who gets it, to whom we don’t have to explain anything, who is singing the right notes and speaking our language without translation, that we’re not thinking about our A-game; we’re just having fun making music with people who share some understanding of what that means. Never mind “playing with people better than you are”; it’s a miracle when we get to play with other people who get it, let alone who are better. So then, when we do get to play with people better than we are, it’s a ball game we aren’t prepared for. We don’t perform at our best because we don’t even remember what that is. Our A-game is irrelevant to our regular existence as church musicians. Really, what I think we face is that there is a particular kind of poverty that we’ve had in our parishes for a long time for various historical reasons. Rather than try to improve the matter, various voices have spiritualized, if not fetishized, this poverty, given a particular moral weight to it, and what perhaps was non-professionalism out of necessity has become anti-professionalism out of choice, replete with nonsensical pietistic platitudes like “Orthodox music isn’t performed, and it would be better if we didn’t think of it as having composers, let alone professionals; Orthodoxy doesn’t do art.” Add to that what I believe is an American distaste for anything that smacks of “being told what to do” and a preference for being self-taught over learning from a teacher (something I certainly encountered when I was playing guitar seriously, 20+ years ago), and you have the perfect storm of a musical anti-culture in American Orthodoxy. The difficult reality is that the circumstances we face in the world of American Orthodox church music are such that, in the main, they weigh the overall level down; the efforts of the would-be musical leaders do not pull it up. And, as long as this is the case, we Orthodox musicians in America are going to be hard-pressed to make much of a case for the best that Orthodox music can be with our own efforts. We will rely on non-Orthodox musicians to bring out the best elements of our liturgical music, we will have to record and perform in non-Orthodox churches because we have not adequately provided for the acoustic environment in our own — in short, we will be the audience for the professional performances and recordings of our own music, not the singers, and it will be because, frankly, we’re not good enough for it to be otherwise. And we haven’t even begun to talk about issues like professional levels of pay. I am going to guess that there are 10 people in the United States who are able to make anything like a living off of being Orthodox church musicians, and that’s rounding up from the cases I know about for sure. I’ll limit my comments here, but a place to start is the simple fact that a decent undergraduate musical education isn’t cheap, let alone any level of education beyond that, and it would be nice to think that people who are serving the Church with such an education could at least make their student loan payments with what they’re paid. I’ll leave that there for now; a lot of parishes obviously struggle to pay priests (if they pay their priest), let alone anything else, so compensation is complicated, but it’s still something that needs to be addressed. There is a connection between time, talent, and treasure that must be acknowledged as part and parcel of the solution to the overall problem I’m discussing. Orthodox musicians, ultimately I’m talking to you here, and we have a lot of work to do. As I used to tell my choir, I’m not asking you to do anything I don’t also expect of myself. Our task is complex, and while concerts, recordings, and conferences are great, the need is long-term and must be addressed in ways that are systemic and cultural, too. We must inspire the non-musician to do better, inspire the congregation to care, inspire ourselves and our colleagues to stay sharp, and somehow to get a culture in place that will form future generations of church musicians as singers, as composers, as teachers, and as leaders. We have to do all of that prayerfully and in love, and we must be mindful that our ultimate goal is service to God, just as it is for the priest and for the member of the congregation. Cappella Romana is proof that it can be done at a professional level. PaTRAM also exists for this purpose, as did PSALM, and it’s also why Kurt Sander organized his Pan-Orthodox Liturgical Music Symposium this last June. I helped to found The Saint John of Damascus Society because I most certainly believe this is worthwhile, and I have advocated a particular model that would help with a big chunk of what we have to do, both in terms of teaching the next generation to sing and to understand why we need to learn to sing. In general, we all need to find ways of playing with people better than we are, and using those opportunities to get better ourselves. How do we do that? As a place to start, visit parishes, monasteries, seminaries, etc. where those people are. Get to know them. Sing with them if they’ll let you, and see what you learn by worshiping with them at the psalterion or in the choir loft. Buy them coffee and ask them questions. That’s really hard when your parish isn’t anywhere close to anybody else, no question, so then you have to make it a point to attend gatherings of Orthodox church musicians so you can have a chance to get to know people. Go to choir conventions, sacred music institutes, liturgical singing seminars, symposia. That’s often not easy or cheap, but if you can’t afford it, ask for help, either from your parish as a whole or from individuals who are sympathetic. Present it as something along the lines of a mission trip, only for music. Hopefully they can at least get the costs down to something manageable. Better yet, if you can, bring at least one choir member with you so that they, too, can see that there’s a bigger world out there. Then, don’t stop there; start going to the things that will challenge you, and don’t just go to the events where your friends will be. (You’ll make friends at everything you go to, I promise.) You’ll learn even more that way. And when you do see your friends, don’t just revel in making a decent sound with somebody else who can make a decent sound; yes, it’s fun and feels great to bathe in a sound that’s resonant and in tune, but go beyond that. Force yourself beyond relaxing and enjoying so that you are listening and watching, and subsequently learning from what you hear and see. That’s how you get better, or at least that’s where you can start. Now, if you’ll excuse me, Theodore wants to write some more “Alleluia” while sitting on my lap. Gotta start somewhere.